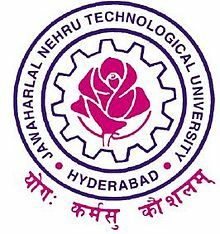 Jawaharlal Nehru Technological University, Hyderabad (JNTU Hyderabad) is a university, primarily focused on engineering, located in Hyderabad, India. Founded in 1965 as the Nagarjuna Sagar Engineering College, it was established as a university in 1972 by The Jawaharlal Nehru Technological University Act, 1972, also combining colleges in Kakinada and Anantapur. In 2008 the Jawaharlal Nehru Technological Universities Act, 2008 split the university back into four universities, Jawaharlal Nehru Architecture & Fine Arts University, Jawaharlal Nehru Technological University, Anantapur, Jawaharlal Nehru Technological University, Hyderabad and Jawaharlal Nehru Technological University, Kakinada.The university is situated in the heart of the city at Kukatpally. It has ‘A’ grade accreditation by the (National Assessment and Accreditation Council) NAAC. It has an intake of about 1000 students.